The following morning, we went around Nagoya. They say Japan is an all-year-round destination. The truth is, it's not. Don't get me wrong. I grew up in the Philippines where it is perpetually hot and humid, but Japan's summer felt like a free trial in hell. News reports claimed that more than a hundred people, mostly old and children were affected by the summer heatwave. Some of them perished due to heatstroke. We left our aunt's flat at around nine in the morning, and it was already 32 degrees at that time. Despite the scorching summer heat of Nagoya, it did not hamper our excitement. Unlike Tokyo, it is easier to explore this city. What better way to explore a city is to understand its history and culture. Located at the heart of Nagoya, this castle plays a significant role in Japanese history during the Edo Period. My mom and I were in the mood to explore the castle, but since the main building was under renovation, we can't do it. We took a quick respite from the scorching heat of Nagoya's summer. We sat on the bench under the tree and drank coke clear. The crowd around the castle's courtyard was bearable, and I surmised it would get crowded during the colder months, especially in Spring or Autumn when the foliage is more dramatic. We bought some souvenirs at the shop just right across where we sat before we had lunch at an Italian restaurant somewhere downtown. 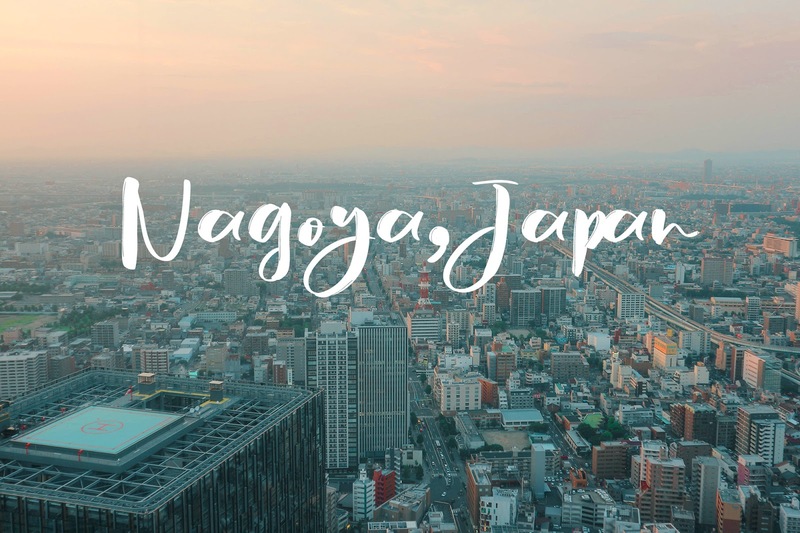 Like any other major cities in Japan, Nagoya is teeming with life. It's not surprising since it is Japan's fourth largest city and the center for the automotive industry. Walking around CBD, I've discovered the locals' knack for shopping. Almost every block, there are departments stores, multi-level shops of Uniqlo, GU, and H&M, Daiso, and a whole lot more. For history junkies, Nagoya has museums that showcase the colorful past of Japan. If you're a self-confessed science geek like me, don't forget to visit the Nagoya City Science Museum. The geek in me got overjoyed upon entering the science museum. We even watched their astronomy show at their planetarium! Lastly, a trip to Nagoya would not be complete without visiting Legoland Japan. As a die-hard fan of Lego, going there felt like a trip down memory lane. Nagoya Tower. View from Oasis 21. A typical sidewalk in Nagoya. Posing in front of Nagoya City Science Museum. Nagoya was a pleasant surprise. I thought it was just a laidback version of Tokyo. Maybe in some parts. Whatever that is, Japan will always leave a good impression on me. It's one of the few countries in the world that is so organized, so clean, and so disciplined. The sun was setting as we arrived at the observatory deck of Sky Promenade. The sky was bursting with hues of orange, indigo, and red. It was humid, but we did not mind at all. We waited until the sky turned dark. Then, the city lights started to flicker. It felt like another life form sprung to life. No matter how bright or dark your day is, it is only you who's capable of creating your own destiny. Regardless of the circumstances. View from the observatory deck of sky promenade.